i am a us veteran, when i saw the story of the men and women celebrated the life and memory of his life on channel 12 news. i cried severly. wanted the families of both detectives to know that my heart aches. i, too, was severly hit by a careless driver and left on the streets to die. but.there for god,s grace i survuved. i am disabled and ny life is not what it was. there are days that i feel awful. i am going to pray for the soul of offices ramos anf liu as long as i live. i will ask god to protect the families of the two officers so their lives will not be invain. merry christmas and a happy new year to both families. 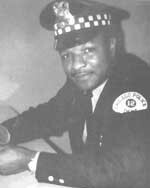 Another year in Heaven for my brother in blue. May you continue to rest well with your partner, as you watch over your loving family and the NYPD. Until the day we meet. Rest well my brother on this your third anniversary. Rest In Peace Brother. Thank you for your service and sacrifice. Thoughts and prayers for your family, friends and brothers and sisters in blue. Rest in eternal peace, God Bless. On today, the 2nd anniversary of your death I would just like to say thank you to you and your Partner for your service and sacrifice for the citizenso of New York City. And to your Family and loved ones, I wish to extend my deepest sympathy. Another year has gone by my Brother. Continue to rest in eternal Peace as you watch over your family, and us too. Rest well Det.Liu. You and your partner are true heros that performed a job that, many would not have the courage to do. May God continue to watch over you, and your loving family. Detective Liu and Ramos, thank you for your service and we shall NEVER forget! Today is the first anniversary of that terrible day you and Detective Ramos were murdered purely out of misguided hatred for your profession. You have most certainly NOT been forgotten nor will you be. I said a little prayer today for Police Officer Lui and his family. He may be gone but never forgotten. He will always be a New York HERO. Thank you Detective Liu for your honorable and dedicated service. I was recently honored and blessed to meet your wonderful parents and express my condolences, and welcome them to our new family, Concerns of Police Survivors, a family none of us thought we would be a part of but we are glad are there for us. May God rest your soul, thank you for your service. 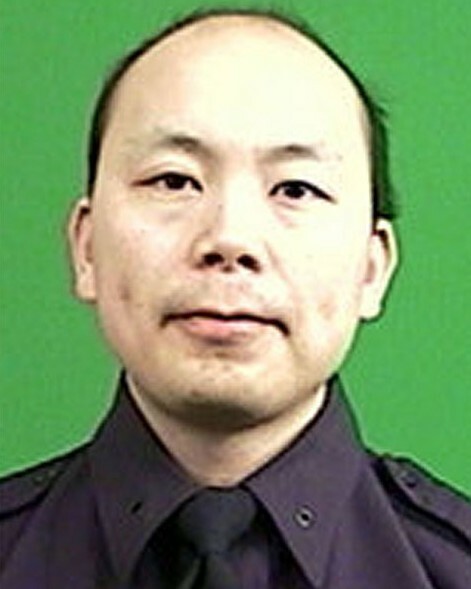 I didn't know Detective Liu but his death has forever changed my life. when I heard of his murder on the news I felt so sad and angry at the same time, I had to do something, so 2 days later I began publicly supporting my local lapd and have continued to do so. Rest in Peace Sir, and know someone in CA carries a challenge coin with your name 24/7. A True American Hero in Blue, Wenjian Liu, May God Bless my friend and his family, May Liu Rest in Eternal Peace. Although time has passed, your sacrifice is still remembered. You are remembered and missed by many every single day. Thank you for your service, Sir. Rest in Peace. The Thin Blue Line remains strong in your honor. Rest in Peace Police Officer Wenjian Liu. Thank you for your service to this country and your community. My thoughts and prayers are with your family and your department at this time. Rest in Peace, Officer Liu. May God bless your family and give them comfort. On behalf of my family, I extend our sincerest condolences on the grievous loss you suffered when Wenjian was killed. To the Liu family, fellow deputies, and all who call Wenjian beloved, my heart goes out to all of you and may you find comfort in your loved ones and your strength in your faith. When my son was killed, the entire law enforcement community in our area embraced us in a circle of love and support, and I know you will receive the same support. It makes the unbearable less torturous, and I pray for your solace. I hope that your family and Officer Ramos' family know that a nation mourned with you. I am so sorry for the loss of Officer Liu in such a horrific attack. My thoughts and prayers to all of his family and friends.